Prowler Skid Steer Loader Brush Mowers is all you’ll need for land clearing applications. We stock four (4) different styles. The Standard Duty Brush Cutter Series is for the person who works with light brush on smaller or infrequent jobs. Our Heavy Duty Brush Cutter Series was made for the individuals who own or work on large acreage that needs to be cleared on a more regular basis. It will tackle the thicker, tougher brush. The Extreme Duty Brush Cutter Series is used in the forestry business and on industrial land clearing operations. The Piston Motor Extreme Duty series is our most powerful series with many different configurations and options available. It comes standard with the Direct Drive Piston Motor, thicker, high-strength steel and optional mulching teeth. Select the style you are looking for below for more information. 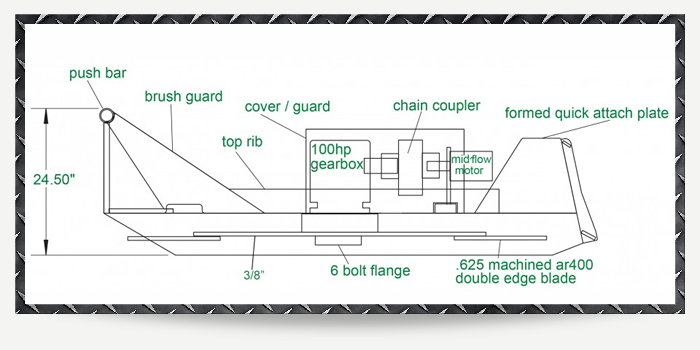 Please pay attention to the hydraulic flow ratings and if the mower requires your machine to have a case drain. 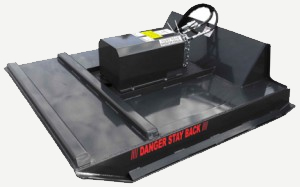 Our Standard Duty Skid Steer Brush Cutter Attachment is available in both a 60″ or 72″ mowing deck. 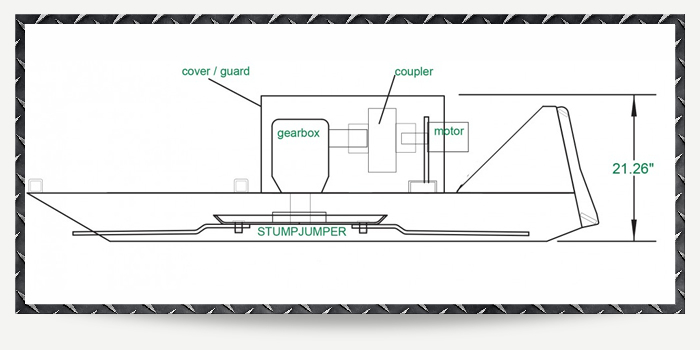 It features a 40 HP gear box and stump jumper. A hydraulic flow of 11 gpm to 20 gpm is required. Optional mesh grill is available on open front models. The Standard Duty Brush Cutter is for the person who works with light brush on smaller or infrequent jobs such as brush fields or around your farm. 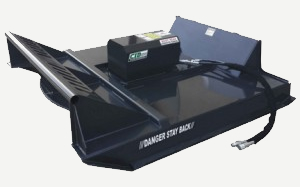 Our Heavy Duty Skid Steer Brush Mower Attachment is made for owners that needs to clear acreage of under growth and/or small trees. 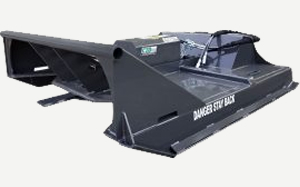 This Skid Steer Mower is available either in a 60″ or 72″ mowing deck. It features a RC100 gear box, and Parker motor. Includes a fabricated blade holder and bidirectional blades. A hydraulic flow of 14 gpm to 20 gpm is required. 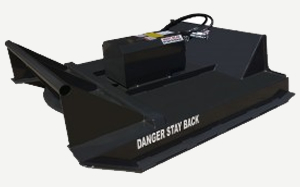 For tough clearing applications our Extreme Duty Skid Steer Brush Mower Attachment is ideal. 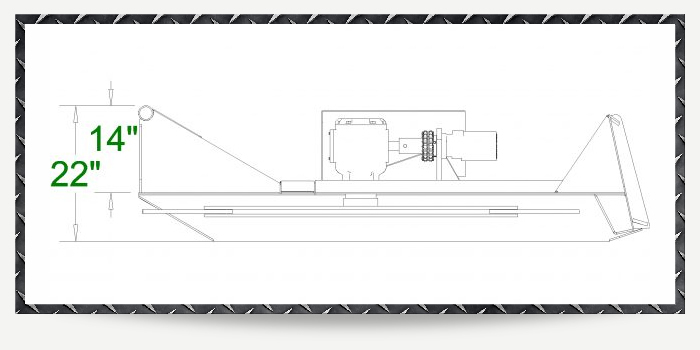 This mower comes in both a 60″, and 72″ cutting diameters. 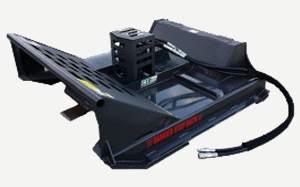 It is equipped with bidirectional blades, powered by a high torque motor featuring a 100 horsepower omni gear box. We offer hydraulic flows of 14 gpm to 20 gpm and 20 gpm and 30 gpm. Neither of these two brush mowers do not require case drains. 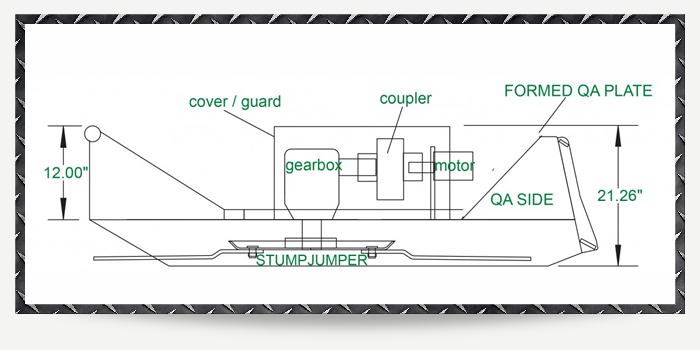 Our Extreme Skid Steer Piston Motor Brush Mower Attachment is used in forestry and industrial land clearing operations. The Piston Motor series cutter is our most powerful mower with many different configurations and options available. These brush cutters require case drains.